Vancouver's engine of economic, environmental sustainability and innovation. Because everybody dreads online forms. This assessment focuses on a specific online application flow for individuals residing outside of Hong Kong, looking to apply for a Hong Kong Special Administrative Region passport for the first time. 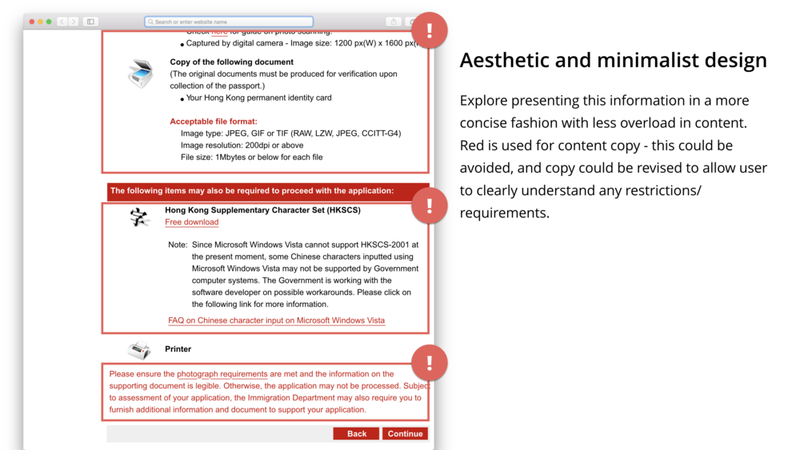 The GovHK website hosts a library of information, and the application tool is an attached platform that allows the user to submit all the necessary documentation for officials to then process. This report explores a concept design for what an improved experience may look like. Interested in an in-depth breakdown of the design process? Devise a new feature that would align well with the application, or identify an all-around redesign improvement for the platform. 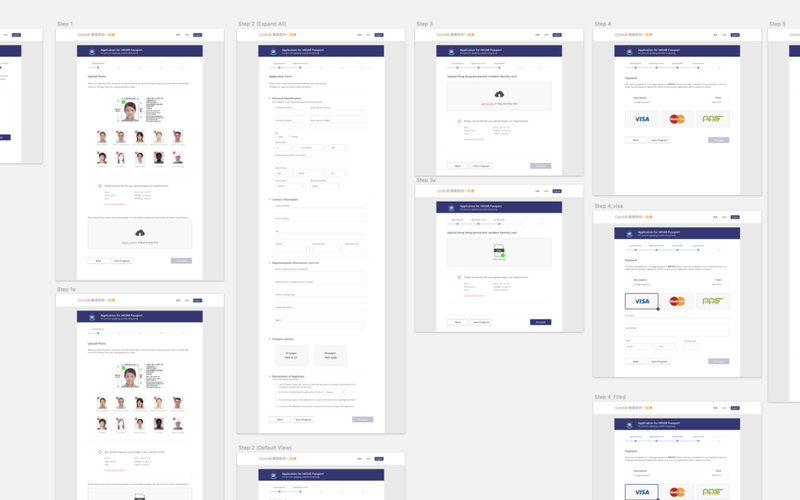 From a form design consistency perspective, the payment step was bumped forward and wrapped into the application process. 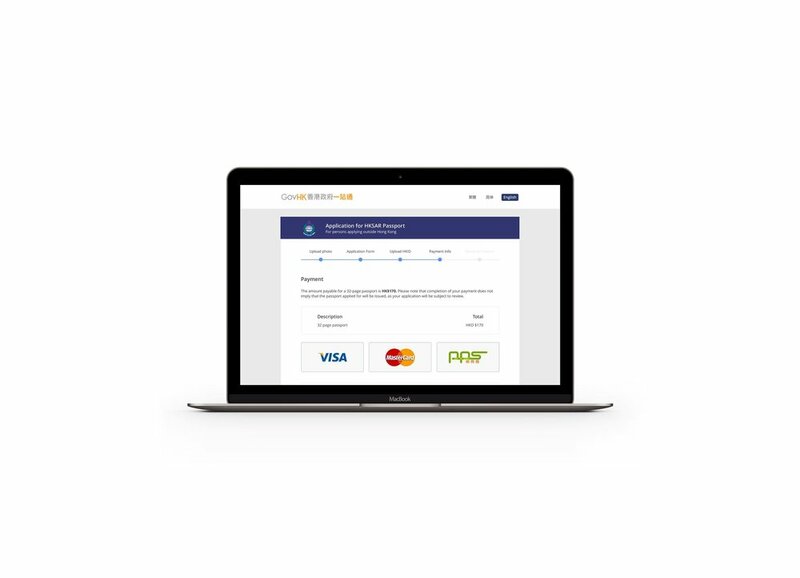 As the system already advises to the user that the application won’t be processed without payment, it becomes much more encouraging for the user when they understand that entering payment as a final step is just a part of the application process. In order to more comprehensively identify other potential usability concerns, in addition to the ones personally experienced, a heuristic evaluation of the entire end-to-end application process was conducted to highlight areas of friction or improvement at every stage of the existing application process. One of the main concerns identified during the heuristic evaluation was the excessive amount of text that the system puts in front of the user. The content strategy for this project was to reduce text, but maintaining the communication required to ensure important information was being conveyed through progressive disclosure. Interested in reading more about my design process? Designing experiences, driven by the voice of the users.